Christie 2013 Integrator of the Year! 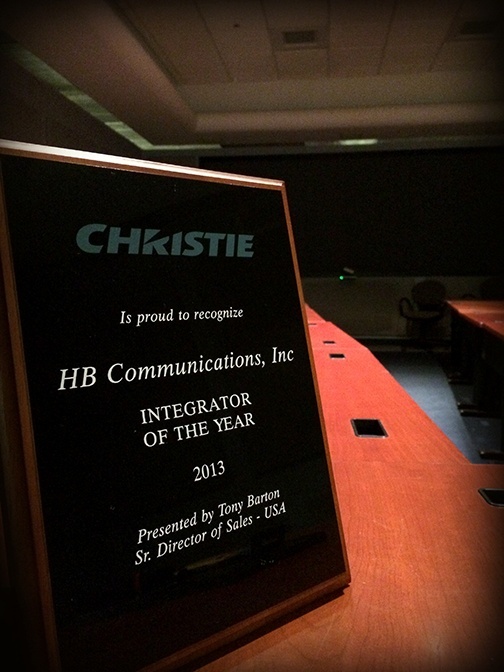 HB was just recognized by Christie as “Integrator of the Year” for 2013! We shared this award with Spinitar from the west coast. Thank you to Christie and all our customers. Unified Communications, the most unspecific highly specific catch phrase for all things collaboration ever invented. Are we right? Join us at the HB Open House! Join us at our Open House! , May 14th in Waltham, MA. Click Read More for more detail!